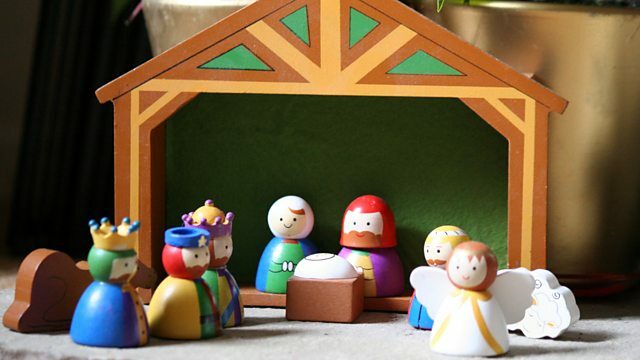 BBC Radio 4 - Sunday, Where was Jesus born? If Jesus was not born in a stable, does it really matter? Fergal Keane remembers a happy Christmas in Soweto. What is a vegan Christmas and should veganism be a protected belief? Emily Buchanan talks to Libby Purves about her collection of Nativity scenes. After which, Bishop David Walker and the Revd Dr Ian Paul will discuss if Jesus was actually born in a stable and whether or not it really matters. Fergal Keane remembers a happy Christmas time in Soweto in the early 1990s and Yolande Knell has been celebrating the Feast of St Nicholas with Palestinian Christians. The Bishop of Manchester comments on recent figures from the Office of National Statistics which show that the number of homeless people dying in England and Wales has risen by 25% over the past five years. The Dean of Blackburn talks about the gin he has created with a local distillery to raise money for the cathedral and Samantha Calvert, from the Vegan Society, describes a vegan Christmas and discusses why veganism should become a protected belief. And there is a taster from a documentary going out on Radio 4 on Christmas Day about the Once in Royal David City solo which is always sung at the beginning of the Festival of Nine Lessons and Carols from King's College Cambridge.